Very recently I bought a Galaxy Trend Duos. I was. Trying to get screenshot of some apps. Went to Google play and found some apps for taking screenshot. However most are for rooted devices. Suddenly found that I can take screenshot by pressing power and home button simultaneously. You just stop press both button at a time and keep pushing until you hear a beep. That’s it. No need to install app. 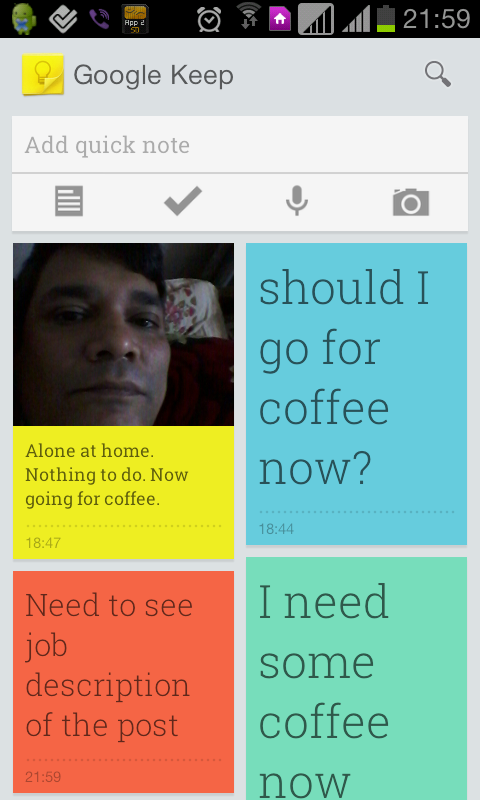 You can download and install Google Keep from Play Store. Previous PostAdding parameters to a Joomla 2.5 pluginNext Post2 extensions that need to be part of Joomla!